DIEPPE, France -- For enthusiasts, Maranello, Italy and Stuttgart, Germany evoke images of high-performance sports cars from Ferrari and Porsche. Could Dieppe, France, someday join their ranks? 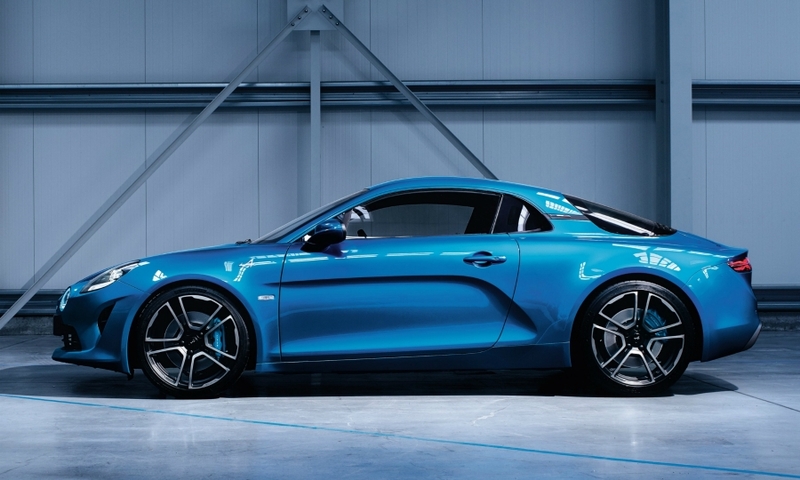 Dieppe, a small coastal town in Normandy, is the birthplace of Renault’s Alpine brand, which has restarted production after a 20-year break. Renault CEO Carlos Ghosn, with French economic minister Bruno Le Maire, inaugurated the production line for the new A110 last week. It was a big day for Renault, which now has a premium, mid-engine sports car to compete with Porsche’s Cayman and the Alfa Romeo 4C. It was an equally significant event for Dieppe, which is among the poorest communities in the Normandy region of northwest France. In the past two years 150 workers have been hired at the Alpine plant, increasing the workforce to about 400 people, and 36 million euros ($42 million) have been invested, some of that amount from the governments of France and Normandy. Signs proclaiming "Alpine Made in Dieppe" greet visitors to the town, and "Alpine Is Back" banners hang inside and outside the plant. Among the improvements are a new paint shop and robots to help assemble the A110’s extruded-and-cast aluminum structure and sand and clean the paint finish. Employees have undergone an extensive training program to ensure that A110s are built to standards expected of premium sports cars. Renault says it is the only factory in Europe building cars with aluminum bodies and chassis, with most of the attachment points being bonded or riveted rather than welded, to save weight. "We didn’t choose this site to build the new Alpine for nostalgia," Ghosn said to applause from employees clad in blue work suits. Alpine was founded in Dieppe in 1955 by Jean Redele, a Renault dealer who started by modifying stock models then began selling his own sports cars in the late 1950s. Alpine cemented its reputation with the original A110, from 1963, which won several rally championships. Renault acquired the company and the factory in 1973. After the last Alpine model, the A610, rolled off the line in 1995, the plant has been used for low-volume Renault models like right-hand-drive Clios and Renault Sport versions and even electric Bollore BlueCars. The factory, in an industrial area just off the seaport, retains its low-tech appearance from the late 1960s, when Redele constructed it. Just 80 workers are now involved in assembling the A110, largely by hand, using aluminum body panels from a supplier in Italy and turbocharged 1.8-liter engines developed with alliance partner Nissan. Ghosn poses with the Alpine A110 in Dieppe. With the improvements and beefed-up workforce, the plant has the capacity to build 6,000 Alpines a year, at a rate of 30 a day. 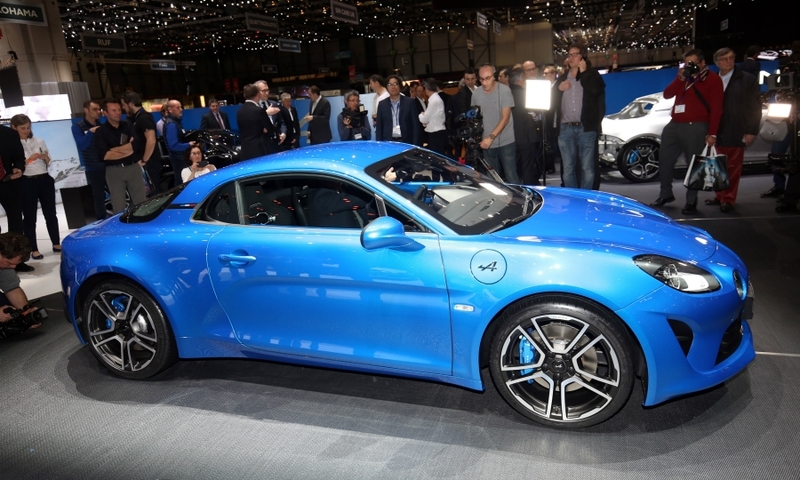 The first run of A110s is a special edition of 1,955 units at priced at 58,000 euros. It sold out in three days to buyers from 11 countries and building the cars to fulfill the orders is expected to take eight months. 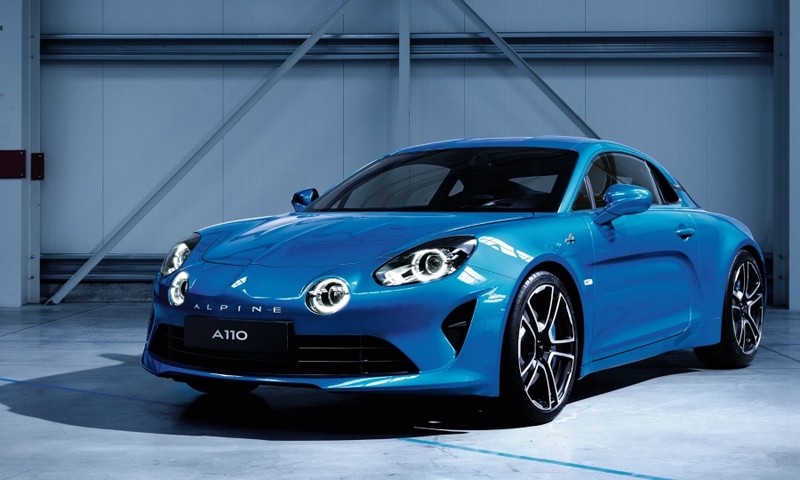 An Alpine spokesman said the company has "thousands" of orders for future A110s. Though official sales figures aren’t available because A110’s haven’t been registered, it appears that it has outsold the 4C (1,083 units in Europe this year through October, according to JATO Dynamics) and has emerged as a threat to the Porsche Boxster (5,769 units sold) and Cayman (2,965). 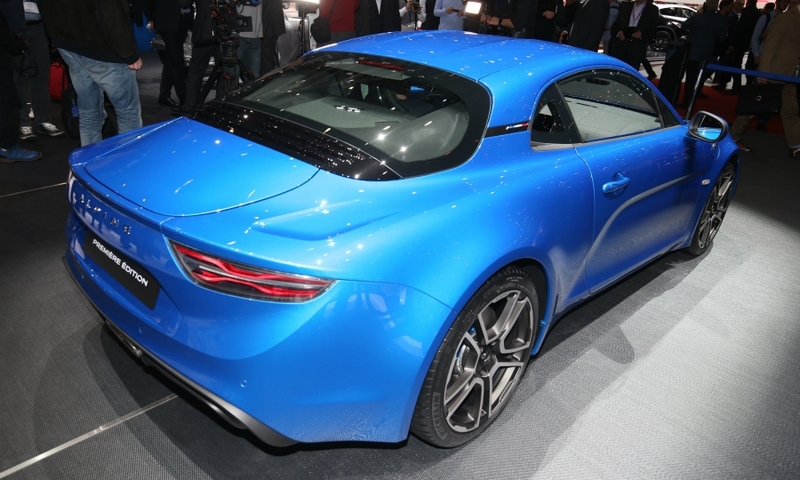 Renault has insisted that volume isn’t the goal with the A110. The project has been in the works since 2012, when it was championed by Carlos Tavares, now CEO of PSA Group, who was No. 2 at Renault to Ghosn. 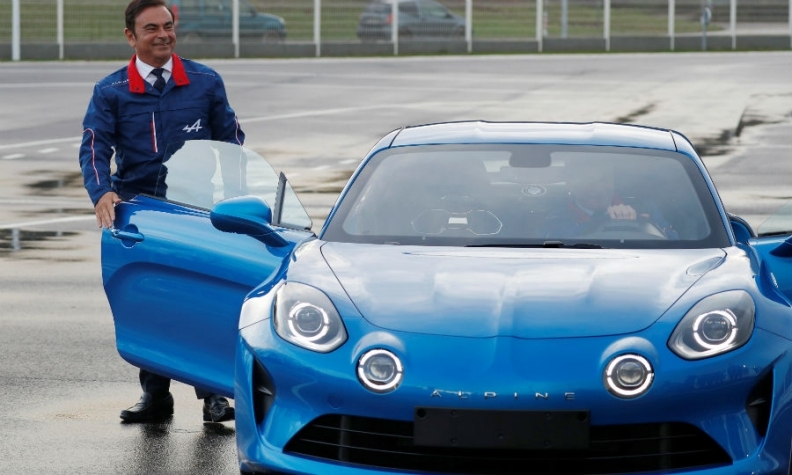 Rather, it’s to show that Renault can build a reliable sports car that lives up to the original A110’s formula of lightweight and relatively low power to create a dynamic driving experience. Reports have suggested that a high-performance version with 300 horsepower (versus the current 250 hp) and an SUV to challenge the Porsche Macan are in the pipeline. 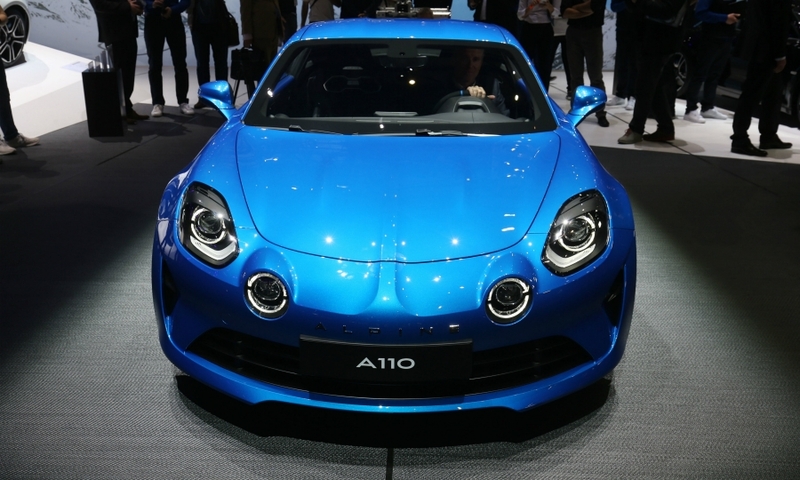 The company has demurred when asked about future models or a fuller lineup of premium vehicles, saying it depended on the execution and reception of the new A110, and that Alpine has to be profitable. Other automakers have had mixed success creating a premium brand. PSA is struggling to increase sales at DS and Hyundai’s Genesis has done well in Korea but struggled elsewhere. So far, the A110 has won glowing reviews from the automotive press, with testers praising its lively handling and styling. Marketing and advertising have been largely low-key, though that appears to be changing. A one-make racing series, the Alpine Europe Cup, will debut next year at six tracks around Europe, with drivers in identical 270-hp versions that have sold for 100,000 euros. About 20 cars will be sold for the first season, with 10 slots reserved for non-French drivers. That series, plus continued success for the Alpine team in endurance racing (it finished third this season in the LMP2 class) will raise Alpine’s profile. Whatever the future of Alpine, the Dieppe factory -- the smallest in the Renault Nissan Mitsubishi alliance -- has been given a new lease on life.